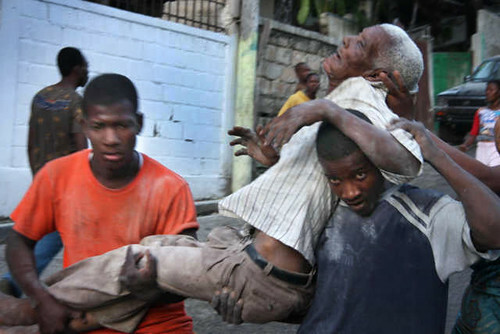 The other day, the WHO asked aid groups in Haiti not to leave for at least 60 days. I found that kind of confusing, to be honest, because no aid agency is going to leave Haiti on purpose. Their humanitarian mission will make them want to stay – these groups do after all, want to help people. So will their competitiveness. Getting to open an office in a new country is exciting, and expands an NGO’s global reach. That means there is no point in appealing to the NGOs to stay. The WHO is aiming its pleas in the wrong direction. It’s not, in the end, the NGOs’ choice. We need to donate the money to keep them there, and push our governments to do the same. Whether or not the NGOs stay in Haiti is up to us. Chosen because – that’s how you leave, right? 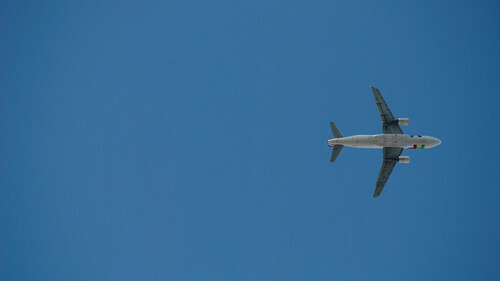 On a jet plane? I have a post at UN Dispatch on the health impact of an earthquake. Here’s the fast version – after the initial injuries are over, you need clean water, good toilets, and decent housing as fast as possible to prevent typhoid, dengue, and malaria. Tales From the Hood, Aid Watch, and Good Intentions are Not Enough all have suggestions for who to give to for Haiti. My own suggestion is this – the single most important thing you can do when choosing where to donate is to pick an organization with a history in Haiti. That will make all the different in the speed and quality of their work. I gave my own Haiti donations to two groups: Partners in Health (PiH), and Architecture for Humanity. PiH, founded by Paul Farmer, has an excellent reputation and a long history in Haiti. It’s also big enough to absorb as many donations as it gets. Architecture for Humanity has longstanding ties to Haiti, and strong relationships in country. They will be focused on the rebuilding effort, which is very important. Experience with the Tsunami showed that it’s easy to waste funds on building new structures that are culturally and environmentally wrong. I trust Architecture for Humanity to help make sure that Haiti builds back better. Edited to add one more thing – Haiti doesn’t need donated goods right now. It’s difficult and expensive to ship donated stuff, and most donations will not be appropriate for Haiti. Now is the time to give cash.